In the aftermath of the large-scale earthquake (5.9-Richter) that rocked Kefalonia Island on Sunday 26 January, the Hellenic Federation of Hoteliers sent a message of sympathy to those who are going through difficult times. 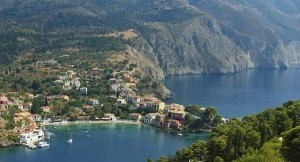 The federation has informed that it is in constant communication with the Hotel Association of Kefalonia-Ithaca to receive updates on the island’s situation. The hotel federation is assisting the relief efforts for earthquake victims in close cooperation with the Regional Unit and the Municipality of Kefalonia. According to latest developments, most of the island’s tourism infrastructure is in very good condition and no problems have been reported that affect the accommodation capacity of the destination. “In view of the new season, everything shows that Kefalonia is ready to welcome and service foreign and Greek visitors,” the federation concluded.